Harvest Rain CEO Tim O’Connor has announced that Simon Gallaher will play the role of The Wizard in The Wizard Of Oz - Arena Spectacular touring Australia in 2019 – 2020. Simon Gallaheris much-loved by audiences around Australia as a singer, pianist, concert performer and a successful theatre impresario, having produced national tours of The Pirates of Penzance, The Merry Widow, The Mikado & HMS Pinafore. This is not the first walk across the boards for Simon as the Wizard, as he previously played Oz in Wicked when it toured Australia. Newcomer Carly Bettinson will don the ruby red shoes in the role of Dorothy. At 19 years of age, Carly is a recent graduate of the Brisbane Academy of Musical Theatre (BAMT). Growing up in Brisbane, Carly started out as an audience member attending Harvest Rain shows, and that's where her love of theatre first blossomed. "I think it was always a dream in the back of my mind to be in the cast of a Harvest Rain show one day", says Carly. “So this really is a dream come true!" by Callum Mansfield, with Music Direction by Dennett Hudson. The show features state of the art technology, including a 9-metre tall LED Imax screen that will bring the land of Oz to life in the arena, with wall-to-wall interactive animations by Optikal Bloc, the team whose work was recently seen in the national tour of American Idiot. screens wrapping around the entire set playing wall-to-wall animations throughout the whole show so we really will feel transported into the fantastical land of Oz." 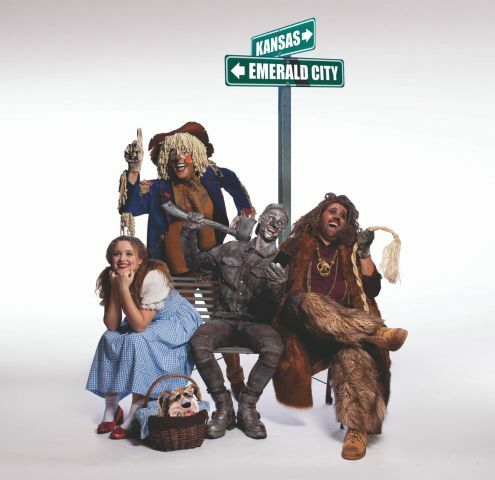 Just like Grease, this new arena production of The Wizard of Oz will feature a large mass ensemble of over 500 young performers who will play Munchkins, Poppies, Emerald City Citizens, Winkies and Jitterbugs throughout the show. Joining Carly & Simon on the journey down the Yellow Brick Road will be Chris Geoghegan in the role of Scarecrow, Michael Nunn as the Tinman and Josh Whitten as the Lion. Aurelie Roque will play Glinda the Good Witch, and Bil Heit will play the role of the Wicked Witch of the West. Rounding out the principal cast will be Matty Johnston, Zane Powell, Joanna Nash, Bethany Wilson, and Kamara Henricks. 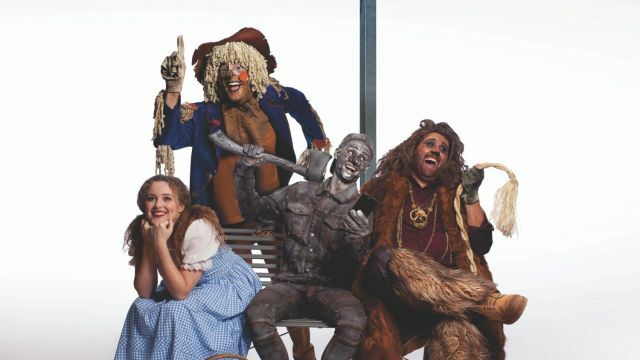 The Wizard Of Oz - Arena Spectacularopens at the Newcastle Entertainment Centre in April 2019, before heading to Brisbane Entertainment Centre on 13th July 2019, Adelaide Entertainment Centre in October 2019, Qudos Bank Arena in Sydney in January 2020 and Canberra in April 2020. Dates for Melbourne and Perth are to be announced.